It has been so wet and wild here all week. Storms and very heavy rain. I had a wild drive to Lochgilphead today- roads awash, wipers on high speed. 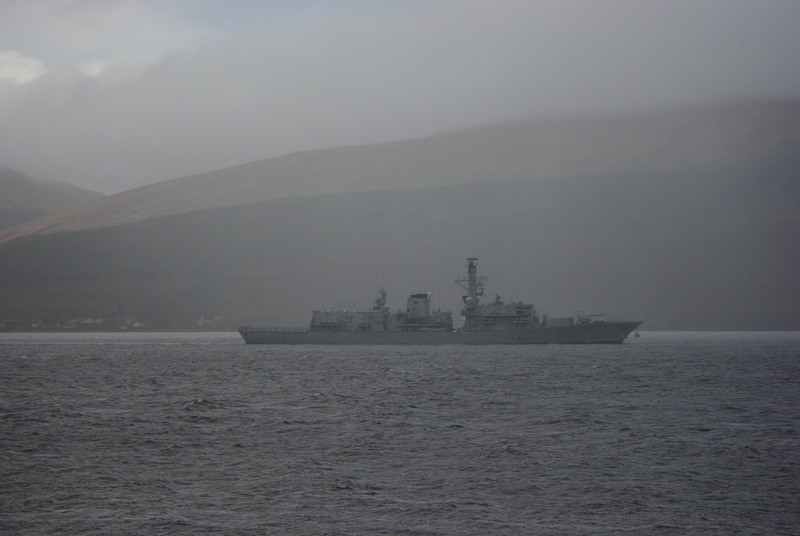 The Royal Navy sheltering in Loch Fyne- grey on grey. In these dark days and long nights, we tend to close down and retire to the fireside with our thoughts. It can be so oppressive. This entry was posted in music, Spirituality, Uncategorized and tagged Bruce Cockburn, HMS Somerset, Loch Fyne, storms, wait no more, winter by Chris Goan. Bookmark the permalink.